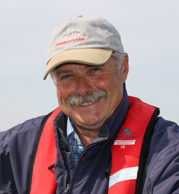 Lloyd James is an RYA approved instructor who has plenty of inshore and blue water power boat experience upon which to draw. He has a passion for teaching safe seamanship with a high level of enthusiasm that is fed back through our post-course reports. "I take the task of powerboat instructing very seriously. There is so much to teach in such a short time, but I never forget my students should also enjoy themselves. If I make the day fun, what I teach will stick … which is of course what it is all about." Call Lloyd to discuss how we can help you on 07889 133555. 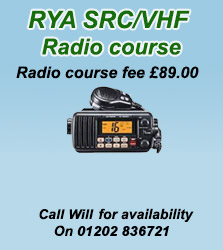 Richard: "A hugely enjoyable and stimulating course which I would thoroughly recommend to anybody. I now feel much more confident in both boat handling and navigation. Thanks Lloyd!" Graeme: "Not having much experience with boats before, it was surprising to find out what a difference a really experienced instructor and a proper boat makes! This may sound obvious but the boat Saltwater uses is great. Much better than any other training school I looked at and I know when I start taking boats out on my own the experience I gained will be a huge comfort. It was just fun to be out on a boat with someone that knows what they're are doing and obviously loves it! Thanks, you were very patient and I would recommend you guys to everyone who wants to go out and have some fun on a boat."